Cade Davies is an ex-Army Ranger, teacher, and the new head coach of the high school football team in Keeneston. He barely has time to adjust to all of the changes in his life before he runs into the school’s fiery new guidance counselor and a new threat to the peaceful town of Keeneston. Adnan leads a weary existence as a bookshop owner in modern-day, war-torn Baghdad, where bombings, corruption, and assault are everyday occurrences and the struggle to survive has suffocated the joy out of life for most. But when he begins to clean out his bookshop of 40 years to leave his city in search of somewhere safer, he comes across the story of Ali, the Gardener of Baghdad. Adnan rediscovers through a memoir handwritten by the gardener decades ago that beauty, love, and hope can still exist, even in the darkest corners of the world. 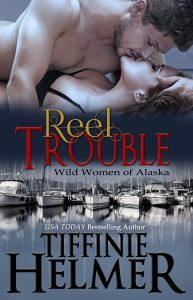 From the moment Treat meets the new Deputy Chief of Dutch Harbor Seana Brogan, he’s caught, and that’s before she arrests him. Unfortunately his love ’em and leave ’em ways have proceeded him, and Treat suddenly finds himself in uncharted waters with Seana easily resisting his charms. Fighting to get Seana to take his intentions seriously will be the most challenging fishing he’s ever done. No matter how tempting Treat Devereux seems, Seana knows the captain of the Sea Wolf is nothing but trouble–the kind of trouble that could cost her, not only her heart, but also her job. The last thing she needs is to hook up with the town’s notorious bad boy. Not when she must prove to all the naysayers that she was hired as Deputy Chief based on her own merits and not because of who her father is. While this Deadliest Catch town is taking bets on how long she’ll last, the Real Housewives of Dutch Harbor have their own agenda, and they’re experts at tying people in knots. Peyton Worthing, Lord Ives, has it all: looks, wealth and a title. 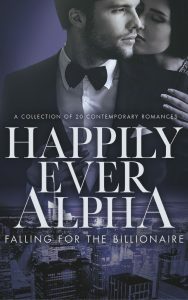 Knowing her son’s worth in the Marriage Market, every year his mother holds a house party to which she invites only the cream of the new crop of London debutantes. And each year they go away empty-handed for no one can meet her exacting standards or capture his elusive heart. Isabel Bentham was orphaned at a young age when her father died, and then her mother died shortly thereafter of a broken heart. Determined not to make the same mistake as her parents, she plans to marry for security, not love. She longs for a decent man who will provide her with a safe haven, not a flirt and a gambler who might make her hear beat faster, but will surely break it in two. 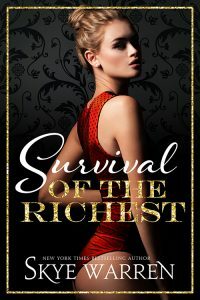 Peyton’s mother has finally found the perfect woman and invited her, along with her wealthy, but thoroughly unsuitable cousin, to her annual party. But is a woman of impeccable virtue the best mate for an all too fallible rake? Callie Daniels’ mother has one dying wish. 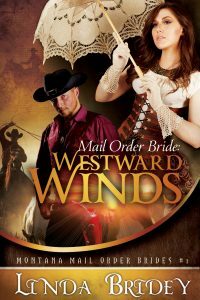 She wants neighboring rancher, Garrett O’Neill, to marry her seventeen year old daughter. 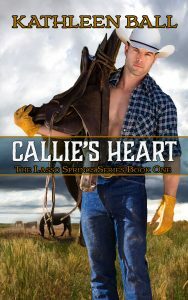 It’s not supposed to be a conventional marriage.Garrett O’Neill would keep Callie’s ranch safe and Callie would go away to college. Four years later, Callie comes home with stars in her eyes and happily ever after in her heart. She plans to make their marriage real until finds the new housekeeper, Sylvie in Garrett’s arms. Heartbroken, Callie takes off to her own house, which they closed up four years ago. 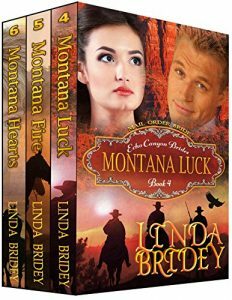 She stays there with Old Henry, a longtime friend and ranch hand, until her new horse injures her. Garrett forces Callie to move back in to his house. Callie finally gets her heart’s desire. Alone in a line shack, they make sweet love for the first time. Unfortunately the love light is gone from Garret’s eyes the next morning. If you enjoy razor-sharp suspense with undeniable chemistry, tenderness, as well as differences of opinion, try Deadly Alliance. Finn doesn’t trust Amy. Dog that he is, they’re after the same bone. Get a chilling adrenalin rush when Amy witnesses a fight between an Irish gang and domestic terrorists, is caught in the crosshairs, and needs Finn’s protection. Abandoned by his mother, ex-Army Ranger Finbar Donahue is a ruthless CEO, brilliant at negotiating deals, but emotionally stunted. All he’s struggled to build is slipping away—someone is stealing cash from his company. He’d confront Les, his former business partner, if he weren’t already dead. Amid the turmoil of saving his company, Finn hires Les’s former girlfriend, Amy Kintyre, for a bookkeeping position thinking she knows the thief. Finn’s life changes in a heartbeat. While reinventing herself as a sportswear designer, Amy Kintyre, needs a regular hours job so that she can sew mock-ups during evenings and weekends. Finn’s bookkeeping job may can get her killed. She’d cared for her former boyfriend until his death from a gunshot wound to the head. When she witnesses a gang fight, she leaves her purse at the scene and is stalked. Finn protects her, and sweet Amy is his undoing. Passions ignite. Festering jealousy and greed turns a mobster’s son against his father. Finn and Amy race to expose the killer, but they become the next victims in this cat-and-mouse game of survival.